But as harrowing of an experience as it can be, there are a few surprisingly insignificant factors that you’re agonizing over whenever you read a job listing. And as a result, you’re so caught up on those things that you’re missing important details that potential employers are looking for you to catch. It’s really exciting to find an opening that makes you want to apply ASAP. But on the flipside, it’s not hard to figure out that if you’re so pumped about it, there are probably lots of other people who want it, too. So, the obvious conclusion is to submit your materials immediately, right? Well, not quite. Read the listing again and take note of everything the employer asks for. Then, think about how long all of those materials typically take you to customize. If you’ve found it at the beginning of a day, and think you can dedicate the amount of time required to submit it later that afternoon, give it a shot. But if you think you’ll need a full 24 to 48 hours to get your act together, that’s perfectly fine. Your application will stand out much more for being tailored for the role than it will be for getting there within minutes of the listing going live. Before I was a full-time writer, I really wanted to be a full-time writer. And every time I applied for a job, I crossed my fingers in hopes that the employer would be the first to give me a shot. But I soon realized I wasn’t putting myself in a good position to hear back because I wasn’t following all the instructions. So, before you rush to apply, read the listing three times and write down exactly what’s required—from a resume (tailored, obviously), to a cover letter (template to make that easy here), to a portfolio, to social media links, to responses to additional questions. No matter what the case may be, it’s worth double-checking this list before you submit. If you’re not an exact match, take a second look at the key requirements. If you think you meet the core competencies, don’t be afraid to throw your hat in the ring. If you decide you’re more unqualified than under-qualified (this article can help you figure that out) and it’s a job you really want, do some research to figure out how to get those necessary skills. Hint: Do some informational interviews and ask that very question. There’s a lot of validity in the idea that you should only apply for a position you really want. But what does that actually look like? Does it mean that you should only apply for roles that check every single box on your list? Probably. But based on many listings alone, you won’t be able to see if all of those boxes are checked until you interview. So, how can you figure out if you “really” want the job? Ask yourself a few questions before applying. • Does the position require anything you find incredibly boring? • Does the role ask for experience you’re not willing to learn? • Does everything you know (and can research) about the company make it sound like a good match for you? • Will this role get you closer to your own career goals? If you’re satisfied with the answers you come up with, go ahead and take a shot. If you’re not, then don’t. You’re probably thinking, “Rich, this is the complete opposite of what you just said I’m overthinking!” And it is, but at the same time, it’s easy to send off resume after resume for a handful of roles you know you’d hate. I get how much you probably want to find a new job—and the sigh of relief you breathe when a new offer comes into your inbox. However, what happens when it comes for a gig that you know you’re probably going to hate? You don’t feel all that great. Like we just discussed, ask yourself the questions above before you apply and listen to yourself. Sifting through job boards can be overwhelming. And even though the easy solution would be to simply apply for all of them, there are a few things you should always consider before you invest the time and energy into doing that. Applying for a new position shouldn’t be a quick activity—but you can make things less stressful by giving each one a little more thought before you blindly send your resume and cover letter. 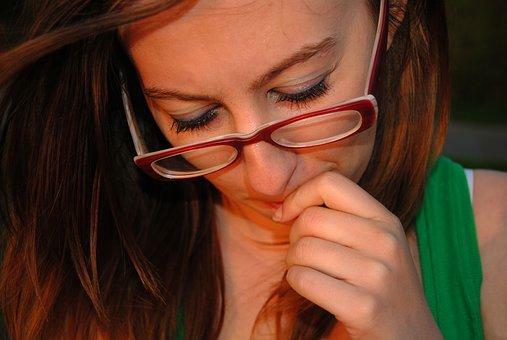 3 Things You’re Overthinking When You Read Job Listings (And 3 Things You’re Not Thinking About Enough) was originally published on The Muse. Richard Moy is a Content Marketing Writer at Stack Overflow, and regularly contributes to The Muse.